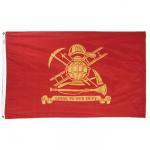 Printed polyester flag finished with header and 2 brass grommets. 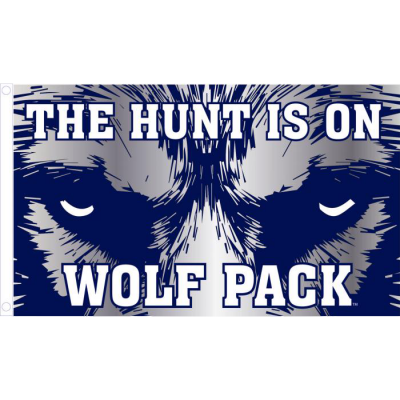 Comes in 3'x5' flag only. Durable Nylon that is made in America with embroidered stripes and sewn stars. 3'x5' only. Comes with header and two brass grommets. Our Fire Truck Wind Spinner is made of Quality Solar Max Nylon, and heavy duty fiberglass. Our Spinners are made better than any manufacture. Size 32". Comes complete with everything you need to display your Spinner in the ground. 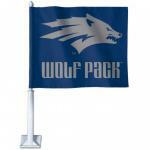 12" X 18" Polyester Stick Flags. Mounted on a 30" wood dowel. Great for parade or Graveyard use. 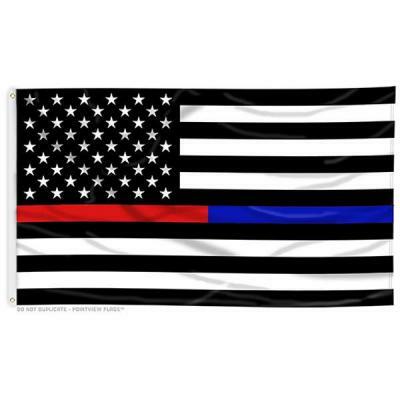 100% made in the U.S.
Our fireman's decorative flag is made of quality fade resistant polyester fabric. The image has been sewn with a combination of applique, embroidery and printing. Size 28" x 40" Finished with pole sleeve at the top and sewn in tab. 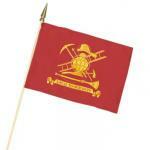 This beautiful fireman's windsock would make any fireman proud. 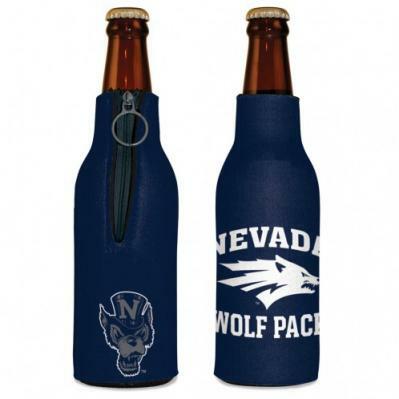 Made of quality outdoor nylon and features a combination of embroidered and applique graphic and lettering. 6" x 40"
For the Budget minded. Great for hanging indoors. Made of imported polyester. Looks good, but we don't recommended this flag for outdoor use. Finished with cotton header and two brass grommets. 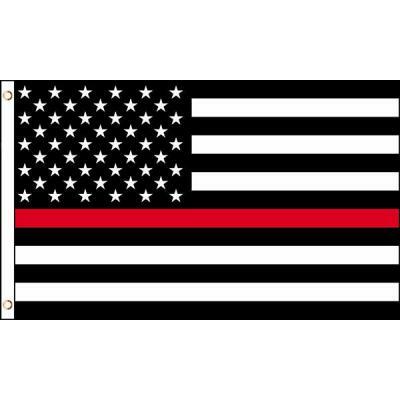 Honor members and this loyal organization with our special firefighters flag. Reads 'Loyal to Our Duty'. Made in the USA out of quality Solar Max Nyon. 3" x 5" size only. Finished with canvas header and two brass grommets.